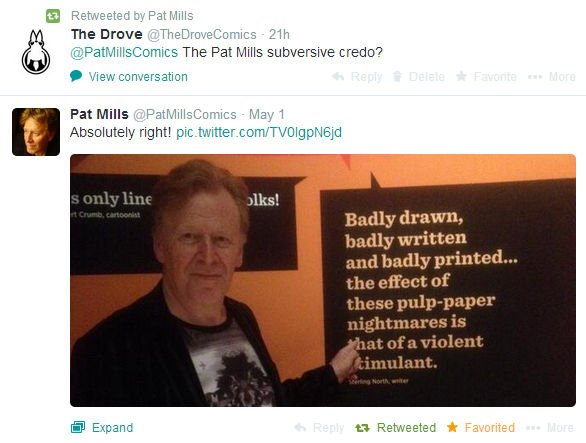 Friends Of The Drove: Pat Mills! This entry was posted in Friends Of The Drove and tagged 2000 AD, comic, drove, Judge Dredd, Marshal Law, Pat Mills, sci-fi, the drove, thedrove, webcomic. Bookmark the permalink.